The Forgotten Food programme is an important element of the work that the Slow Food organisation in the UK and also throughout the rest of the international Slow Food movement undertakes as part of its work, and we in Slow Food Norwich and in East Anglia are pleased to be working with the owners of the Fire Pit Camp in Wendling Norfolk to hold the first major Forgotten Food Festival in England. The Festival will be held on Saturday June 6th and Sunday June 7th at the Slow food Market at the prestigious Rosewood Hotel in London, and we are very excited to be holding both these events with the help and support of Rachel and Sarah from The Fire Pit Camp who are also active members of Slow Food Norwich. We worked closely with them last year when we held a joint Slow Food and Norfolk producer Festival at their beautiful venue in the small village of Wendling in central Norfolk and look forward to being involved with them again. The Fire Pit Camp is a popular and well known venue in central Norfolk and it has quickly become a valuable asset to the local community in both Wendling and the surrounding villages and towns. Rachel and Sarah have been very supportive of the aims of Slow food in Norwich and East Anglia and the Fire Pit Camp will also be one of the first Approved scheme members of Slow food in Norfolk, which will be launched in March in Norwich. 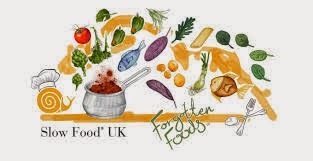 The Rosewood Hotel in Holborn is one of Londons most prestigious and beautiful hotels and we are very pleased to be taking the Forgotten food festival to this fantastic venue as part of the annual Slow Food week events throughout the UK. There are Forgotten foods in communities all over the UK, many types of food that were once common place and known and eaten by local people have in many cases have all but now nearly disappeared, In Norfolk alone Forgotten foods currently include a large range of fish, shellfish, beers, cheeses, breads, jams and meats and in other parts of the UK Slow Food has already many of the active Forgotten Food producers listed on our central website. We are approaching local food businesses and also asking local people in all parts of the county to help us with finding these scare typically Norfolk foods and with this help Slow Food Norwich is hoping to trace many of these rare foods in the next few months before the Festival begins in June. Rachel and Sarah from the Fire Pit Camp are already active through Social media with putting out the word about the aims of the Festival and for asking for news and help with tracing the forgotten Norfolk foods and recipes that have now nearly disappeared. Through the network of groups and members of Slow Food in Norwich and East Anglia we hope to be able to make some if not all of these Forgotten foods available once again to the public and with this in mind we hope to further the revival of these fantastic Norfolk foods and drinks. We flew home to book this venue in June last year. Absolutely loved their summer party ideas and I'll be certainly waiting to go back there for more events. 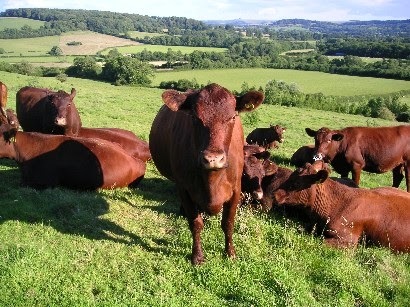 Red Poll Beef in Norfolk. As part of the Forgotten Foods project that Slow Food England and Norwich undertakes to promote we have come across this rare breed of cattle which are now reared on the Royal estate at Sandringham in West Norfolk. The Red Poll cattle breed is a dual purpose breed of cattle and is a cross between the Norfolk Red beef cattle and the Suffolk Dun dairy cattle breeds, and unfortunately both these East Anglian breeds of cattle are now extinct. The breed was developed in England in the late 19th century and the cattle are unusual in that they naturally polled, that is the breed is without horns. Red poll were introduced into Australia and also the USA in the 1800's and is the oldest registered breed of cattle in the US having been established there for over 125 years. Slow Food Norwich members are always pleased to find excellent small food producers and retailers in both Norfolk and also in the rest of East Anglia and recently we have come across a really excellent small local food and wine shop in the pretty village of Great Bircham in North West Norfolk. Great Bircham Country stores is managed by Damien who is originally from Brittany and it is the only shop left in this small village and it caters for both locals and the many passing visitors on the way to the north west coast of Norfolk. 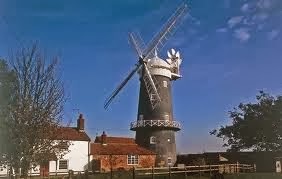 The village of Great Bircham is located in a very popular holiday area, being very close to the remote beautiful beaches and villages on the Norfolk coast and is also just fourteen miles from the historic city of Kings Lynn.